Last week, there was a major announcement regarding funding for Heroin-related programs by Governor Beshear. The announcement coincided with the Interim Joint Committee on Judiciary, during which Justice Cabinet Secretary Michael Brown testified how the $10 million would be distributed. During the meeting, I raised the point that Northern Kentucky was ground zero of the heroin epidemic and needed funding quickly and should be prioritized. Just as funds go to a specific area after a natural disaster to meet that need, so should this be focused to the areas hardest hit. Unfortunately, this is not how the funds will be allotted, according to testimony. I intend to stay on top of this issue and do all I can to make sure Northern Kentucky is a priority to receive all the tools available as we fight our way out of the plight of heroin addiction. In other legislative news, June 24th is the date that most legislation passed in 2015 will become effective. The constitution requires laws go into effect 90 days after adjournment of the legislature. So, those that were not immediately enacted through an emergency clause, 98 in total, will go into effect that day. Our meetings are open to the public to attend. If you can’t make it but are still interested, you can follow the activity of the committees in a variety of ways. Many of these are broadcast on KET’s website, www.ket.org/publicaffairs and archived. Schedules and more information can be found at the LRC’s website, www.lrc.ky.gov. Please feel free to contact me about your issues and concerns at 1-800-372-7181 or wil.schroder@lrc.ky.gov. Thank you for the opportunity to serve you. 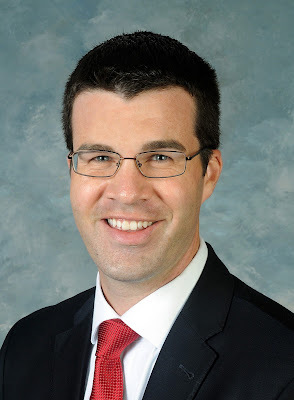 Note: Senator Wil Schroder represents District 24 comprised of Bracken, Campbell, and Pendleton Counties. Sen. Schroder is Chair of the Budget Review Subcommittee on Justice & Judiciary, and is also the Vice Chair of the Judiciary Committee, and is a member of Appropriations & revenue as well as Economic Development, Tourism, & Labor Committees.